At the risk of being unoriginal, let me come out of the gate by saying I LOVE THIS ALBUM! Say what you will about the Twilight movies, but they do have their music right. It’s no wonder Eastern Conference Champions has a place on one of the Grammy-nominated soundtracks. 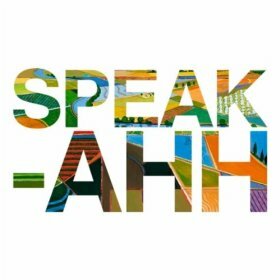 There is a taste of ECC’s talent on that soundtrack, but the tall drink of water that we’ve been craving is found on their 4th album Speak-Ahh. Without the restraints of a label, ECC was able to go out on a limb and take some risks. It shows in their orchestration and also in the lengths of some of the songs which is very refreshing. I appreciate the follow-through of those creative explorations in a big way. Someone familiar with ECC will recognize the other liberties they took as well, especially in “Bull in the Wild,” which they credit as being their “biggest project to date” and is definitely one of the best songs on this album. Whether you’re new to Eastern Conference Champions or have been following their efforts for a while, this album is a must-have for your collection.